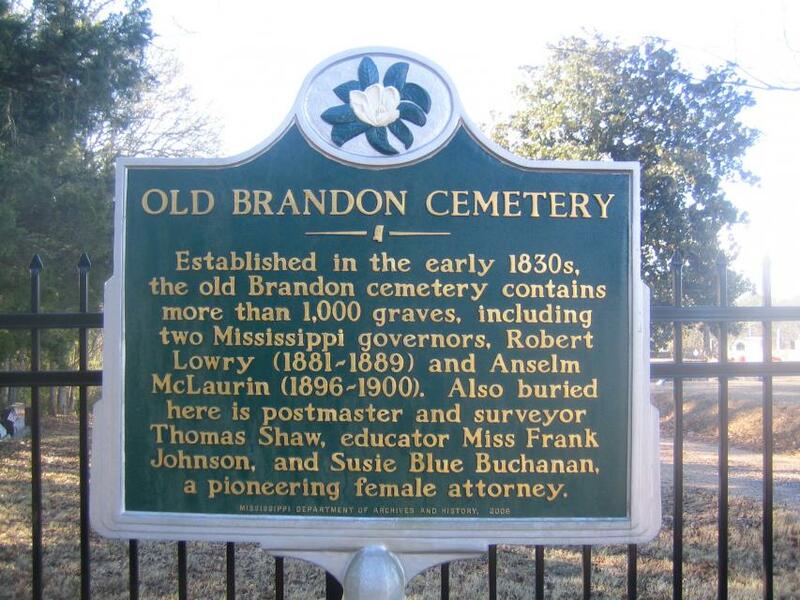 Established in the 1830's, the Old Brandon Cemetery contains more than 1000 graves, including two Mississippi governors, Robert Lowry (1881-1889) and Anselm McLaurin (1896-1900). Also buried here is postmaster and surveyor Thomas Shaw, educator Miss Frank Johnson, and Susie Blue Buchanan, a pioneering female attorney. This marker can also be identified by its HM code. You can use the hashtag #HMYCK in tweets, and any other place where you might refer to this marker, including when searching on this site.